Paradised's collections are filled with pieces - like these shorts - that work for balmy city days and tropical destinations. 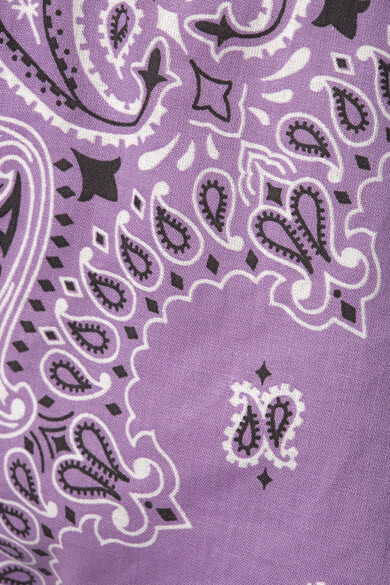 Cut from lightweight cotton-poplin, they're printed with a bandana-inspired paisley pattern and have knots at each side. Wear yours with a tucked-in tee or hoodie. Shown here with: Paradised T-shirt, HEREU Tote, Veja Sneakers, Alighieri Necklace.